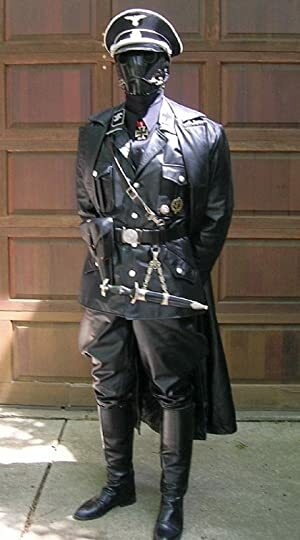 If you have ever worn a costume, you will have experienced some of the freedom of being someone else. Masquerade balls and the famous Carnevale di Venezia are fun because people feel released from their normal lives, their personas, and even in some cases their morals. Adolf Hitler liked the pageantry of those impressive uniforms, many of which he designed personally. He was a starving artist before he decided to become an evil dictator. (The film Max with John Cusack explores the life of Hitler when he was still a normal mensch.) A man in a uniform becomes a different person. They can be emboldened and dehumanized and capable of committing great atrocities. It is almost as if the crimes against humanity are perpetrated by the uniform. Curzio Malaparte was born Kurt Erich Suckert, but changed his name to Malaparte as a pun on Buonaparte, meaning ”he of the bad place.” As you read this book, he is going to take you to some very bad places. You will see through his eyes the ghettos in Poland, a close encounter with Heinrich Himmler, firing squads, and dinner parties with people out of their frilling minds. His descriptions of scenes of destruction and horror are vivid. This book was published in 1944 while the war was still going on. It is a tribute to his charm and ability to make friends in high places that he was not shot long before this book was ever published. The odyssey of this manuscript actually making it to print is harrowing and related in the intro to this edition. Malaparte was a fascist, and then he wasn’t. He disagreed with Il Duce on tactics that he found abhorrent. In 1933, he was stripped of his membership and exiled to the island of Lipari. 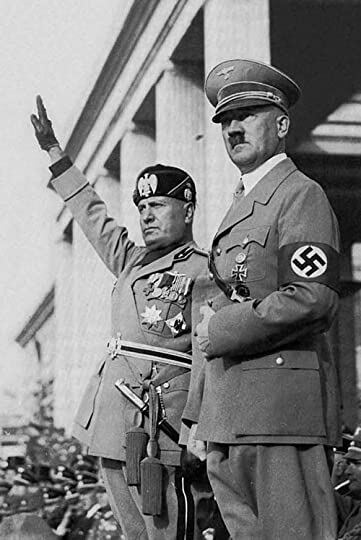 I would say it is a mystery why he wasn’t shot, hanged, and drawn and quartered at this point; the vitriol of his pen was very annoying to Mussolini, but then I discovered that he was friends with Galeazzo Ciano, the son-in-law and heir apparent of Mussolini. Ciano eventually saved him from his island of exile, and he came back to the mainland of Italy in 1938. He was then jailed in 1938, 1939, 1941, and 1943. He refused to be quiet. Two boys playing dress up. It would be cute if they weren’t psychopaths! These Soviet horses were stampeded by a barrage of artillery fire into the water at the very moment the water was beginning to freeze. A tragic scene, but at the same time, how can we not be struck by the beauty of it? Ice sculptures of hundreds of the most exquisite creatures on the planet, preserved until the spring thaw as works of art. There are dinner scenes where friends of the Axis Alliance were gorging themselves on a rich banquet of food while postulating about the Jews living like rats, starving to death mere miles from their table. Malaparte visited the Jewish girls who have been forced into whore houses for the pleasure of German soldiers. He was sitting and holding one girl’s hand as she told him that she had to submit to forty-three soldiers and six officers that day. Why she distinguished the officers from the regular enlistment was a bit baffling? She was counting down the days when she would be released. They only used them for twenty some days, then fresh girls were brought in. She was looking forward to when she would be allowed to go home, but what Malaparte did not have the heart to tell her was that she would not be going home. 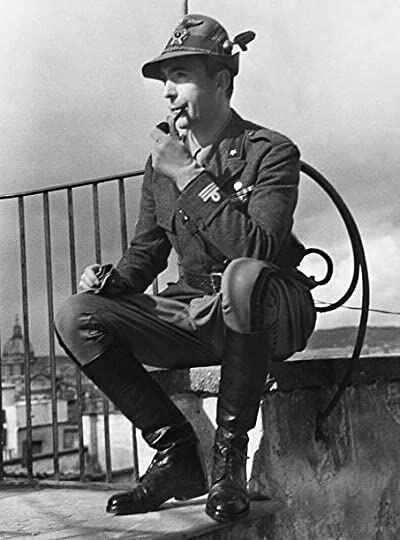 Malaparte in uniform, not looking very menacing in THAT hat! I’ve always heard good things about Curzio Malaparte’s writing, but I had no idea how compelling his writing was going to be. I would pick this book up intending to read a chapter or two, and the next thing I know, I’ve blown through 100 pages. Even when he is relating tragedy, he does so with alluring and, at times, stunning prose. For those who feel they know all there is to know about World War II, you are still missing some insights if you haven’t seen the war through Curzio Malaparte’s eyes. I’ve been accused of being an intellectual before, so I particularly enjoyed this exchange.